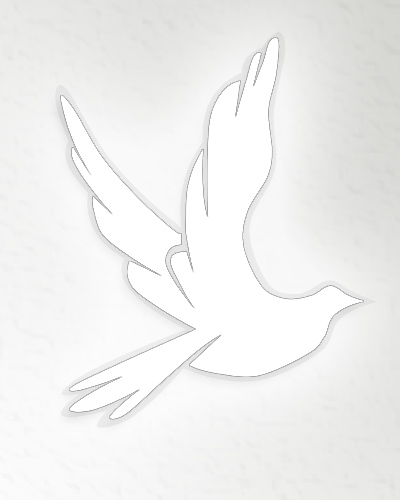 Obituary for Marjorie E. Henricksen | Cremation Services of Central New York Inc.
Marjorie Elizabeth Henricksen, nee Tournier, was born May 18th, 1928 to Elizabeth Combs Croasdale of Syracuse, NY and Louis Amerman Tournier of Auburn, NY in Detroit, MI. At the age of 2, they returned to Central New York to live with her maternal grandparents Miriam T. Allen and Robert Croasdale on W. Genesee St. in Syracuse. Marjorie attended Porter Elemtary School until the 3rd grade. They moved to Split Rock/Taunton area where she finished out elemetary school at Split Rock Elementary. The family then moved to Camillus where she graduated from Camillus High School in the Village of Camillus. Marjorie attended Syracuse University studying to be a lab assistant, but after a semester, she decided that that line of work was not for her and decided on a career of teaching. She obtained a degree in education at Cortland State Teachers College. She taught 2 years in the Marcellus School District and one year in the Syracuse City School District. She decided to expand her horizons and applied to the Department of Defense Dependents Schools. She worked overseas 35+ years as an elementary school teacher of the children of US military and civilian personnel in Hokkaido and Tachikawa AFB in Japan, San Miguel NavComSta and Clark AFB in the Philippines and Kadena AFB in Okinawa, Japan before retiring in 1993. She eventually went on to obtain a Master's Degree in Education while teaching overseas. In Japan, she met her husband Rodney J. (Pete) Henricksen, a fellow teacher. They returned to her hometown to marry on August 9th, 1958 at the Methodist Church in the Village of Camillus. Marjorie in her childhood years enjoyed going to the Saturday matinees on Milton Ave., sledding down Essex St. behind her grandparent's home in winter and roller-skating down the sidewalks of W. Genesee St. in good weather! As an adult, she enjoyed travel and went to India, Nepal, Hong Kong, Thailand, Taiwan and South Korea. She loved reading romance books, true-crime books and Reader's Digest. She also enjoyed true-crime shows, reality court shows, nature/animal shows and game shows, of which her favorites were Wheel of Fortune, Jeopardy and Family Fued. Marjorie was a lifelong lover of animals and had many cats over her lifetime, along with a few dogs. She, along with her husband Pete, was an avid collector of many things antique and vintage by visiting pawn shops, going to garage sales and estate sales. This led to, in retirement, both of them becoming antique dealers. She and he both enjoyed spending time working their booths at the Skaneateles Antique Center in the Village of Skaneateles for many years. For a time they also maintained booths at antique shops in Syracuse and Elbridge. Marjorie enjoyed and loved her husband, parents, brother, children and grandchildren and the many cats she had over the years. She led a long, full life. She was much loved and enjoyed by her family, friends and furbabies. Marjorie is predeceased by her husband Rodney J. (Peter) Henricksen, parents, brother Edwin Tournier and nephew Johnny Tournier. Marjorie is survived by her children Elizabeth (Lee) Grant of New Zealand, James L. Henricksen of Skaneateles, Katherine L. Elliott of Minnesota, Susan C. Henricksen of Skaneateles, sons-in-law Jeffrey Grant, George Elliott and Robert Schneider, grandchildren Katherine C. Elliott, Jessica M. Schneider, Sarah B. Elliott, Hanna E. Grant, Kierann R. Elliott and Edward G. Elliott, nieces Christine Lathey and Lisa Sutphin, nephew Eric Tournier, several grand-nieces and grand-nephews. Services will be private. In lieu of flowers, donations can be made to any animal shelters or rescue groups.